The grade for the partner in crime to the F train comes as no surprise to anyone who has been following the 2007 Rider Report Cards. The V train earned a C- from the 1,636 people who sent in their report cards. Lets go straight to the full breakdown shall we…. Personally I think this line got what I & many others expected it to get. In reality, it is hard to imagine a part time line that only runs during the week to score very high. I am sure it does not help that many see the V as being the evil choice that took away F service from the extremely busy 53rd Street corridor. Lets look at a few of these grades more closely. Let me start with the #1 priority of “reasonable wait times for trains”. This priority ending up at #1 does not surprise me as when one waits for the V, you get the feeling the service is consistently sub par. I have had many adventures on the V & it seems to be one of many lines that seem to have riders waiting forever until the next one arrives. I usually tend to hop the V in Manhattan & when I just miss one, I expect to wait a minimum of 10 minutes for the next one to arrive. Depending on my location, I expect to see either multiple E or F trains to arrive before the next V.
The main issue I see with the V is the amount of trains per hour. One look at the V’s schedule which is so minuscule it shares the page with the F, shows that it usually only has 6 trains per hour excluding a couple of hours here & there. The most trains per hour you will see on the V is 9 which is accomplished 4 times a day, 2 times in each direction. 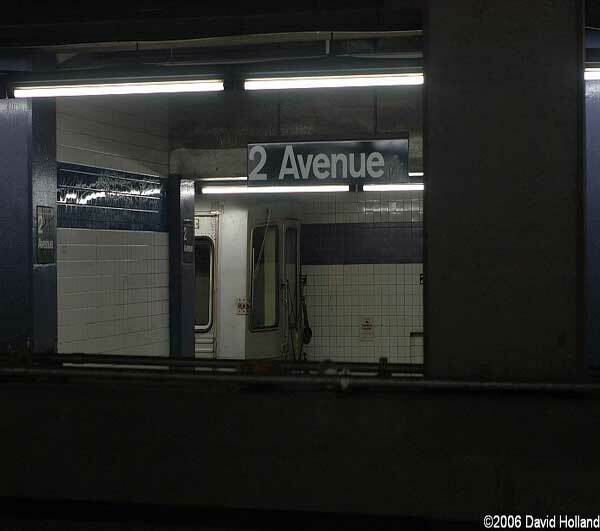 The V has 9 trains per hour traveling to Lower East Side/2nd Avenue between the hours of 7 am – 8 am & 4 pm – 5 pm. The V has 9 trains per hour traveling to Forest Hills/71st Avenue between the hours of 8 am – 9 am & 5 pm – 6pm. As far as delays are concerned, I have always noticed consistent delays in certain areas. From my experiences, I have noticed a lot of delays while traveling in Queens between the Steinway Street & 23rd Street/Ely Avenue stations as well as between Broadway/Lafayette Street & its terminal at Lower East Side/2nd Avenue. The delays while approaching the Lower East Side/2nd Avenue terminal are not shocking to me as one can usually expect delays when approaching terminals. However I think the delays in between the Steinway Street & 23rd Street/Ely Avenue stations need some attention. I know I sound like a broken record but I will say this anyway. The amount of report cards received was way too low but maybe it matches the amount of people who use this line daily. I am used to seeing pretty empty V trains, what can I say! Also can the MTA remove the free B or B- square category for the “Availability of MetroCard machines”. The joke grade is getting old now! When I think of the V, I can’t help but feel this line fails to live up to its potential. If the MTA felt the V was necessary, it sure needs to come up with a better terminal as Lower East Side/2nd Avenue is not going to cut it. While there are plans for the V to see life in Brooklyn full time in the near future, as opposed to emergency runs like this one, it sure can’t come fast enough! I personally would love to see this line run later if not 24×7 as it could benefit many riders. I for one would definitely use the line if it was available after my many late nights/early mornings of hanging out with friends in the Lower East Side. The hopping of the F one stop to Broadway Lafayette to ride a downtown 6 to Brooklyn Bridge just to turn back around & head home got old real quick! I also am not thrilled with walking back to the Astor Place or Bleecker Street station after drinking as that seems to take forever even for a fast walker such as myself! So in the end until changes can be made such as the completion of construction on the Gowanus Viaduct, the V will always be a line carrying around the dreaded “P” label known to many as “Potential”. The V train does not nothing for me because My stop is 179 street Jamaica.The V train is failure because the E train is crowed.